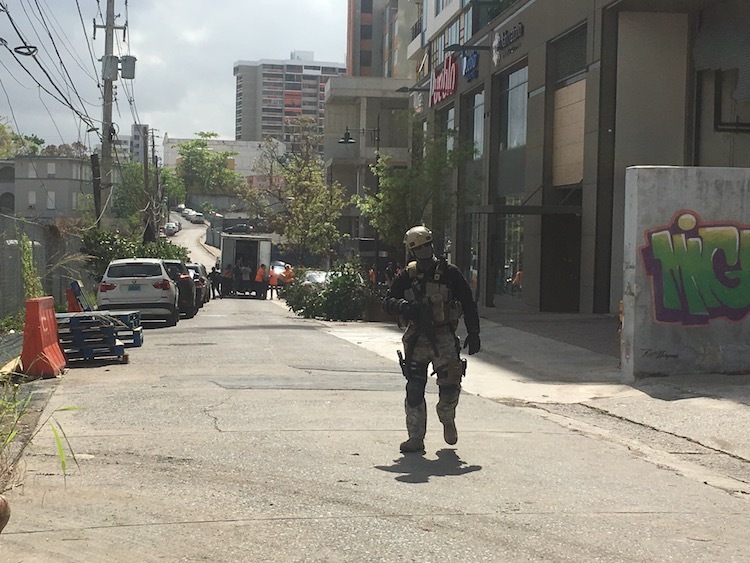 It’s the morning of Oct. 7 and a man stops traffic on Antonsanti Street in Santurce, behind the Ciudadela building. 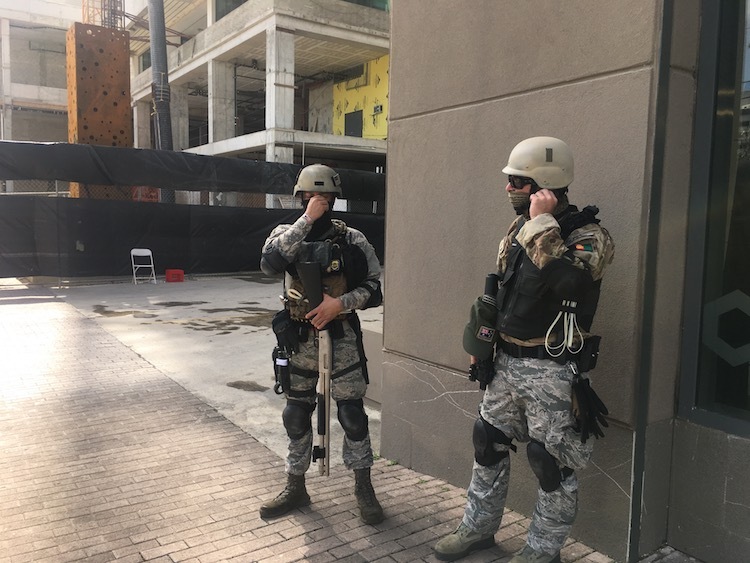 He is wearing a helmet, sunglasses, face mask, a vest with ammunition, gloves, plastic straps used for arrests, boots, camouflaged pants with knee pads, a knife and gun. There is a machine gun in his hand. He has no plaque or ID. “With a substantial reduction in the number of police officers on the streets (due to the government’s reallocation of resources to protect diesel and supply chains), and most streets lights not functioning, Ciudadela has taken the necessary steps to make its residents and commercial tenants feel safe,” he said, without revealing the name of the security firm. “In terms of firearms, (private security companies) have to be governed by the Puerto Rico Weapons Act and must have a gun holding license. As far as I know, gun licenses granted here are for short guns. 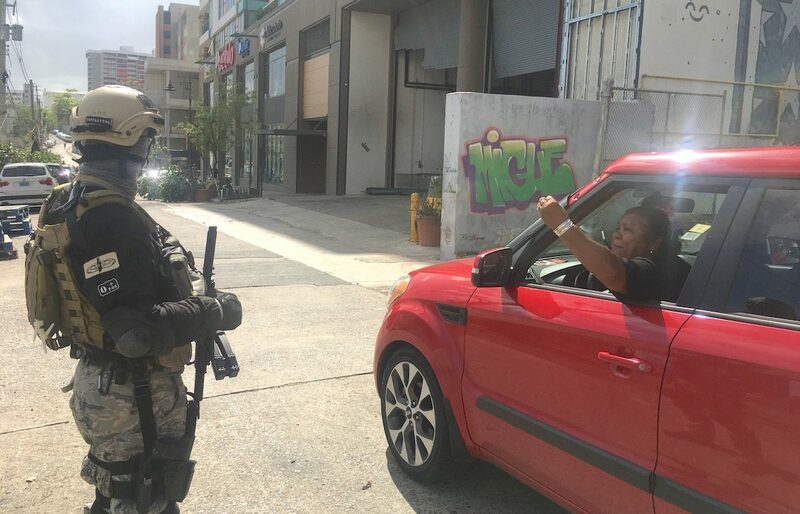 Long weapons are used solely and exclusively for the custody of securities transport, armored trucks, and is a special license provided by the government of Puerto Rico. All other armed services have to be with small arms. The only people who could use long weapons are those of the State. I don’t know of any legal authorization to carry long guns in private service in Puerto Rico,” said Adalberto Mercado, vice president of operations for private security company Ranger America.